Weekend Event! Gas Refill Times Shortened! Time for another Weekend Event! 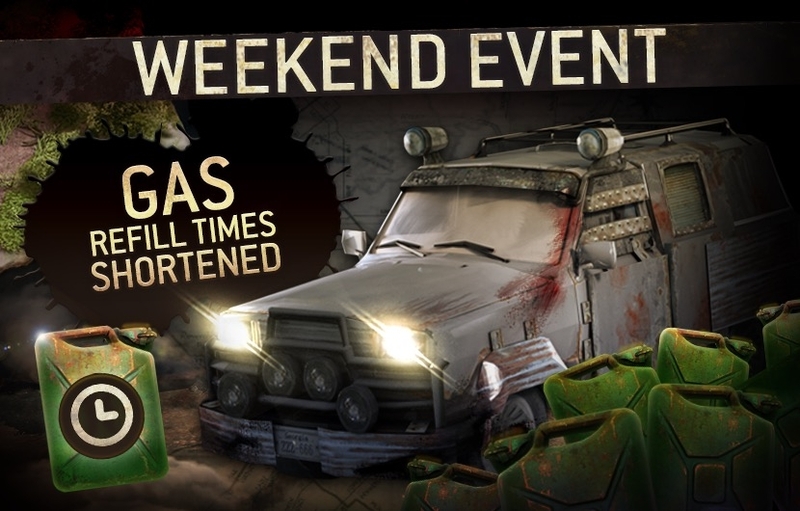 Start your engines, survivors, because gas refill times will be significantly shortened for the coming weekend! The event starts Friday at 01:00 AM EST / 06:00 UTC and ends on Monday at 01:00 AM EST / 06:00 UTC .